Cardiovascular Equipment (76 total pieces) including: Life cycles, Recumbent cycles, Precor steppers, Concept II Rowers, Precor treadmills, Precor elliptical machines, AMT's, Incline trainers, Technogym Wave, Stepmills and Upper-body ergometer. 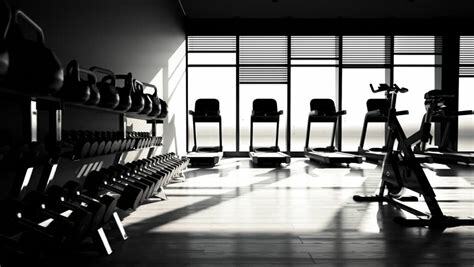 Precor selectorized strength training equipment and cable machines. Full free weights area icluding power rack, smith machine, olympic flat and incline presses, 45 degree leg press, dumbbells up to 120 lbs., various benches and stations. Octagon functional training cage with landmine stations, dip bars, monkey bars, squat racks, deadlift platform, punching bag, rope stations, various med balls and sandbags. Amenities and Services: Private locker rooms, showers, day lockers only (with programmable combination locks), complimentary workout and shower towels, liquid soap and shampoo, fitness assessments, personal training instruction and program design. Bike to work lockers for members who regularly cycle to work. Organized team activities: corporate fun run participation, running club (ladies welcome), BP MS 150 cycling training, Houston Marathon training.